Tolentino says MMDA is not a failure, VP Binay files libel raps, and more. 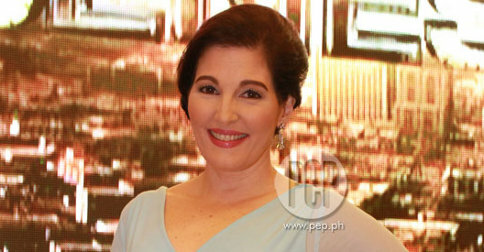 In an interview, veteran actress Jackie Lou Blanco had a message for parents with LGBT children. Blanco, who stars in GMA Network's upcoming transgender telenovela, admitted that her eldest daughter is gay. "It is their life, not ours. Dapat isipin rin natin na kung may pangarap tayo para sa kanila, ano naman kaya ang pangarap nila para sa sarili nila?" she said. "As a parent, all I did was to love. My feelings for my daughter never changed when she came out." She added, "Life is hard in itself. They need love and understanding. At the end of the day, being a parent is really all about love." In an interview on Unang Hirit, Alden Richards said that being an actor was always his late mother's dream for him. "Sabi ko, ayokong masayang. Kumbaga, parang ito 'yong legacy niya on (sic) me. This is her legacy and I’m doing this for her still (sic)." His mom passed in 2008 due to chronic pneumonia. "Nagpa-pabebe wave ako. Sinasabi ko, 'Ma, o, sayang hindi mo naabutan ‘to.' Pero I’m sure, wherever she is now, she is very happy," he said. In an interview, Rommel Padilla revealed that his brother, Robin and the latter's wife, Mariel Rodriguez, is currently recovering abroad. The couple suffered a miscarriage in August after they announced that Mariel was pregnant with triplets. Rommel did not divulge any further details. Potterheads, it's time to pack your bags for Toronto, Canada! The Lockhart is a newly opened Harry Potter-themed bar that pays homage to J.K. Rowling's beloved series, including its name (a reference to the vain Defense Against the Dark Arts professor, Gilderoy Lockhart), decor (like stag coasters), and drink names (like The Shacklebolt). Get excited, emoji users! The latest iOS 9.1 update will reportedly feature a new set of emojis, which will include the long-awaited taco. It will also include other super-useful emojis like the middle finger, a unicorn, a cheese wedge, and the equally exciting burrito. He also argued that the traffic is not the MMDA's sole responsibility, saying, "They have to realize that in terms of mass transport system, MMDA is not in charge. They should realize that in terms of infrastructure, we are not in charge. They should realize that land use planning, we are not in charge." Despite Davao City Mayor Rodrigo Duterte's earlier announcement that he will not be running for president in 2016, Sen. Koko Pimentel thinks he can change the former's mind. Pimentel, president of the Partido Demokratiko Pilipino-Lakas ng Bayan (PDP-Laban), said the party will continue to convince Duterte. "I can feel the clamor of a big segment of society for him to run. I will just beg him to listen to that clamor," he said. On Thursday, Vice President Jejomar Binay filed separate libel cases against Sen. Antonio Trillanes IV and former Makati Vice Mayor Ernesto Mercado in connection with the supposedly "false, malicious and defamatory" accusations made against him. In terms of Trillanes, Binay dismissed the latter's accusations on "ghost" senior citizen beneficiaries in Makati City. Meanwhile, Mercado's libel suit pertained to the land deal between the Boy Scouts of the Philippines and property developer Alphaland Corp. Binay reportedly got over P600 million from the anomalous land deal. In the dark ages before the Internet, you'd typically get a greeting card or maybe an actual present on your birthday. 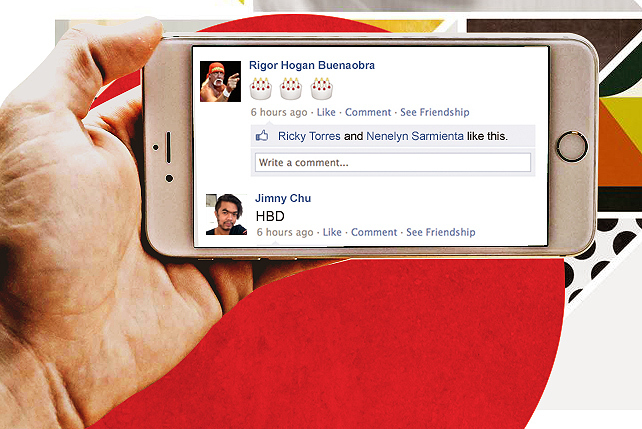 In the digital age, you get...well, these 10 types of birthday greetings on Facebook. Are you a former or current student of Ateneo? We give you a quick rundown of eating establishments and memorable hangouts that are worth trying...or re-trying.